Kabi Joydeb Mahavidyalaya was established in 2007 to fulfill the aspirations of higher education of the people of Illambazar and the surrounding area. 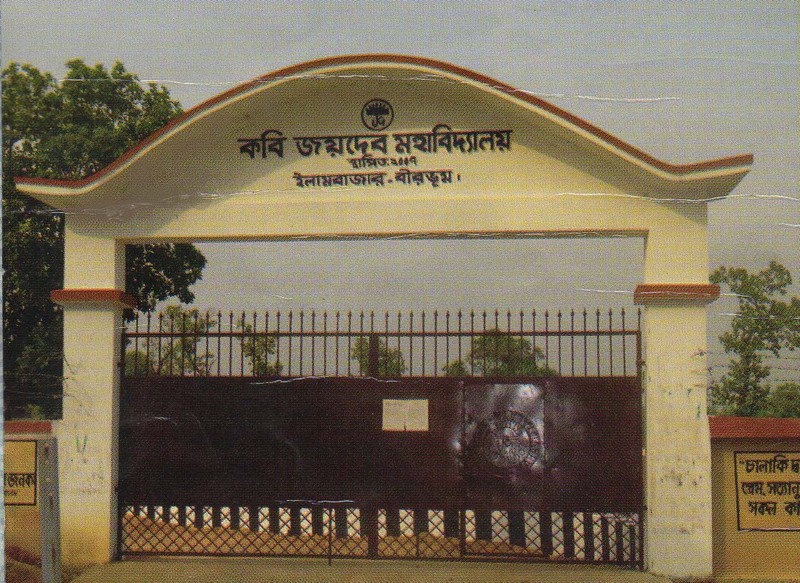 Noted for their association with legendary poet 'Joydeb' and for having a rich history and cultural heritage, the people of Illambazar had long voiced their claim for higher studies, the result of which is this College which has successsfully completed seven years and has now entered into its eighth academic session. A group of highly motivated staff comprising the Principal, the teaching and non-teaching members are desperate to take College to great heights despite of several odds, and are working in tandem with the local people for greater glories.The College has recently been recognized by the UGC, which has only boosted its prospect for further development. The College is situated near Sukhbazar Chowpahari which is just 17 kilometers away from Bolpur. The chief mode of communication is bus which is available at regular interval of time. The place is directly connected by bus with important place like Bolpur,Durgapur,Suri and Barddhaman. It is just 25 minutes drive from Bolpur and about one hour drive from Durgapur. The campus which covers a total area of almost 7.21 acres of land safely surrounded with a boundary wall is one of the biggest in the district. it hyas a charming greenish ambience decorated by Mother Nature herself. The main building is encircled by green sal trees, vast stretch of lands which impresses at the very first sight.